Thunder Tiger΄s new 3D profile EP series offers great 3D flying performance. Good for beginner or experienced pilot who are interested in learning 3D aerobatics for an affordable cost. 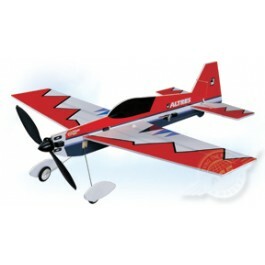 Thunder Tiger΄s new 3D profile EP series offers great 3D flying performance. Good for beginner or experienced pilot who are interested in learning 3D aerobatics for an affordable cost. 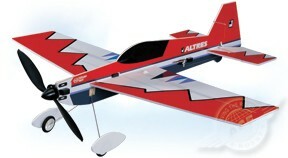 A 3D Profile EP airplane that can be flown both indoor and out! The latest developments in small 3D aerobatic EP design and engineered to go together quickly and easily while still providing you with great looks and exceptional flying performance. The pre-installed carbon strips, pre-painted trim scheme, precision laser cut parts, and universal power system makes this friendly 3D machine an outstanding value. Only a few minutes of assembly are required: glue the wing, install radio gear and power unit then you are ready to Rock-n-Roll. Wing Area: 258.5 sq. in.